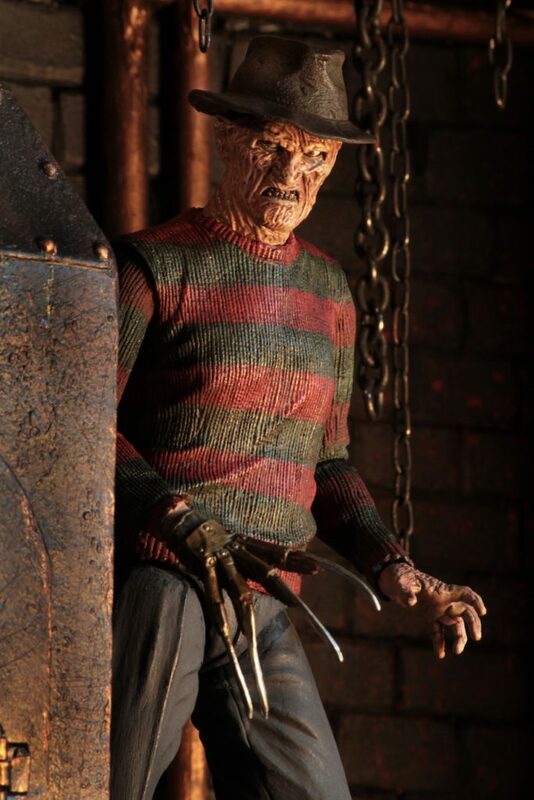 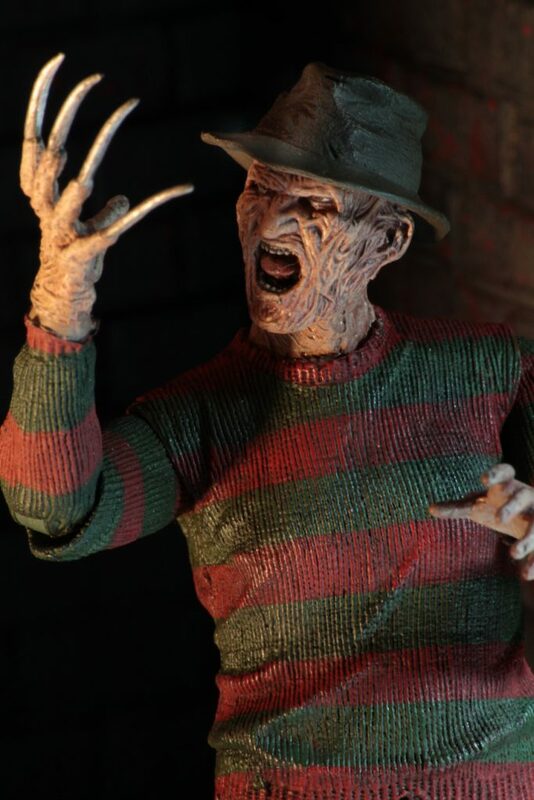 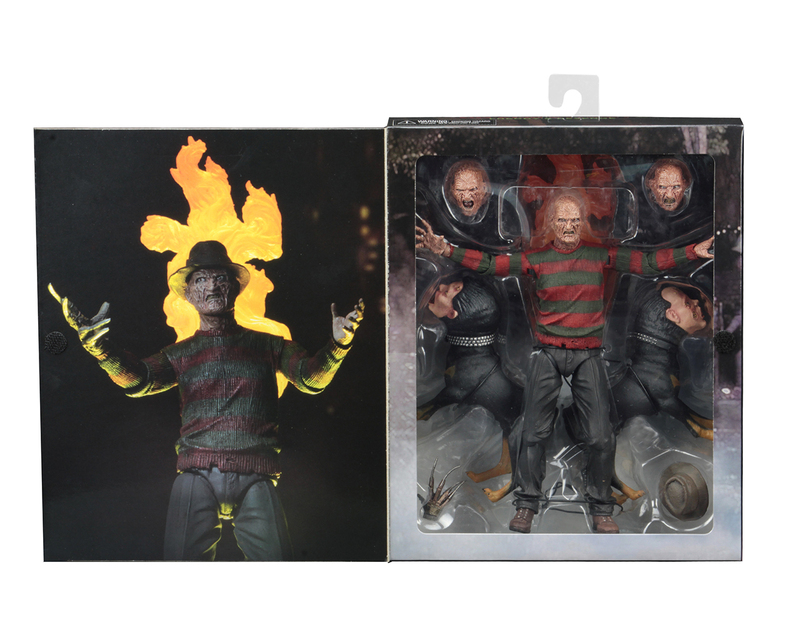 From the classic Nightmare on Elm Street horror films, we present the definitive collector’s version of Freddy from Freddy’s Revenge! 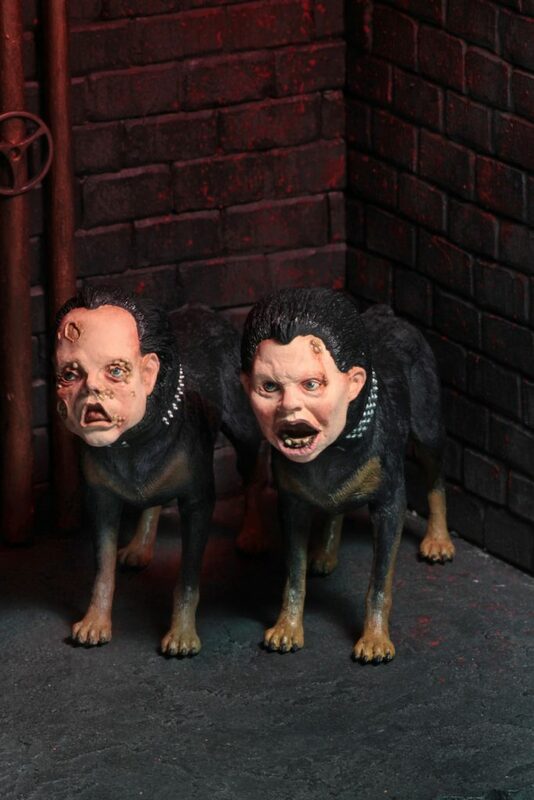 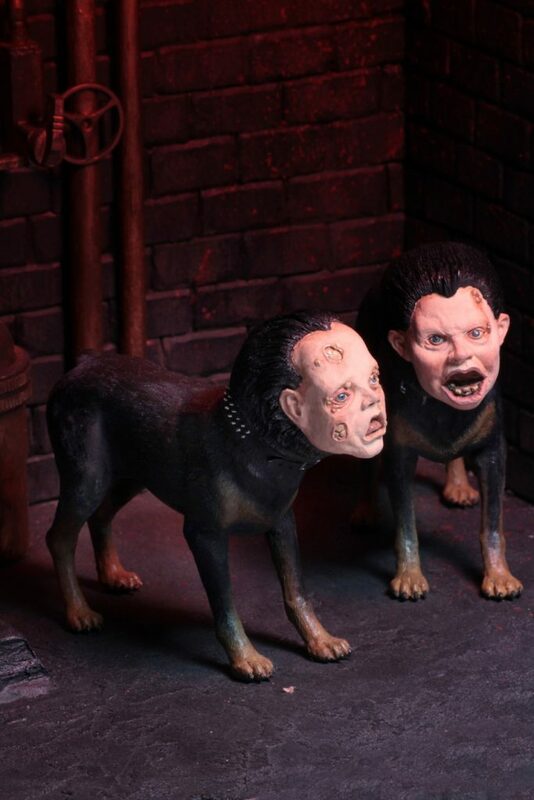 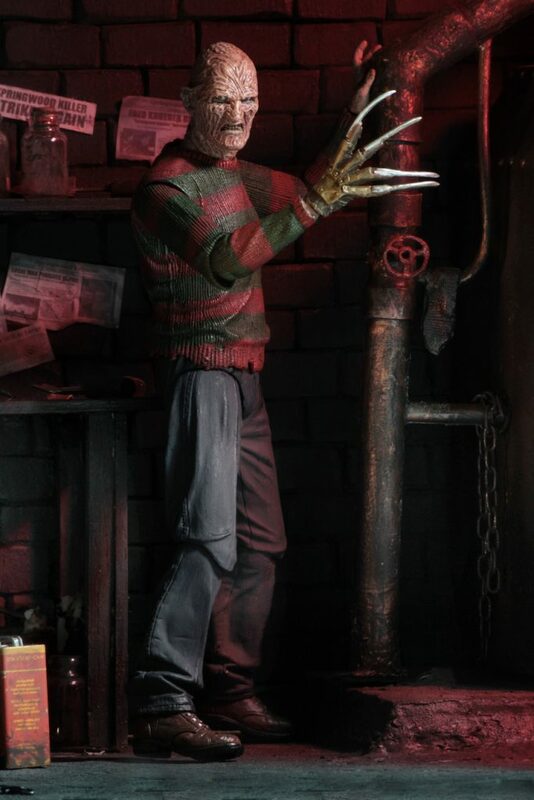 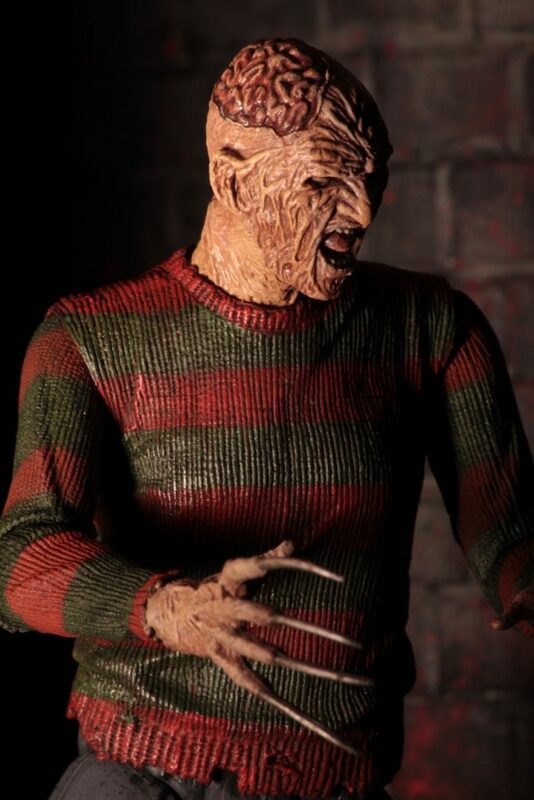 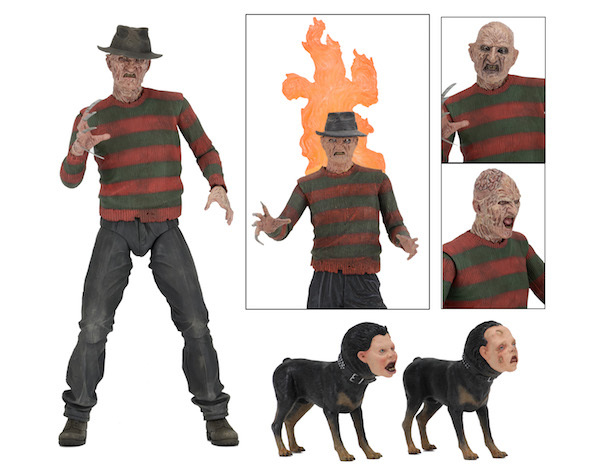 Ultimate Part 2 Freddy features plenty of gruesome detail and tons of accessories, including three interchangeable heads, 2 dogs, gloved hand, monster hand, and removable hat. 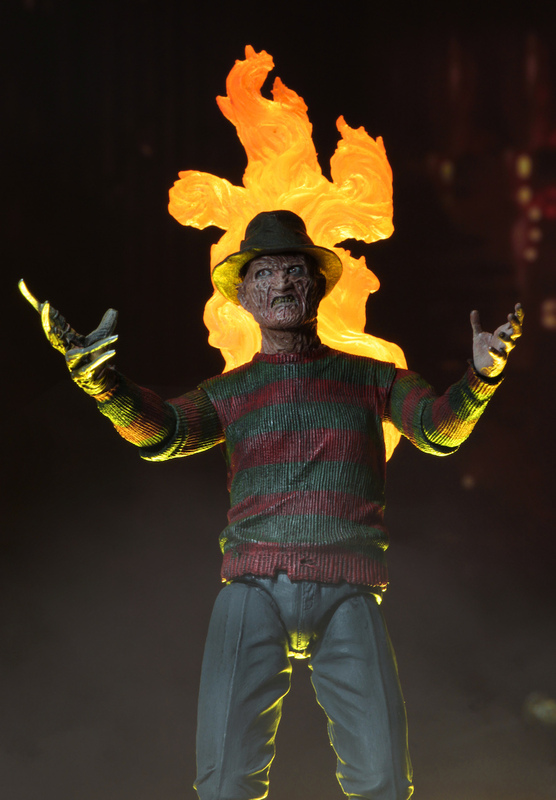 There’s even an attachable fire effect from the pool scene! 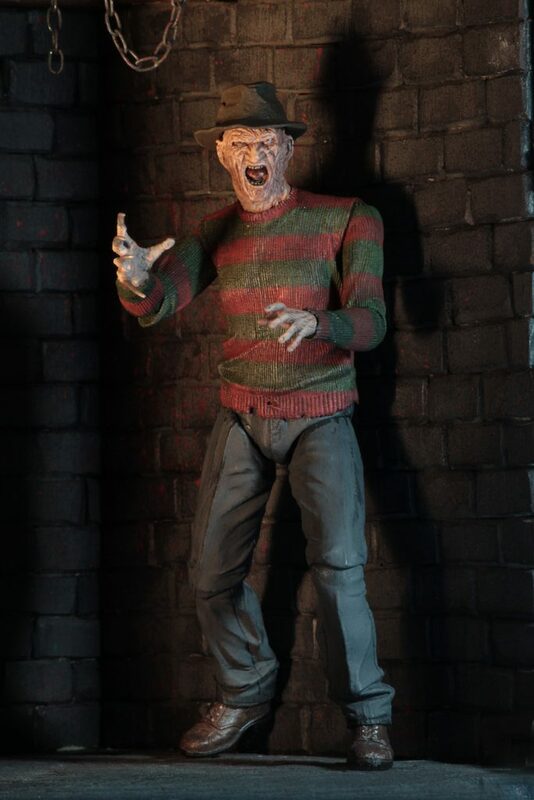 The 7” scale figure is highly articulated and comes in collector-friendly deluxe window box packaging with opening flap.